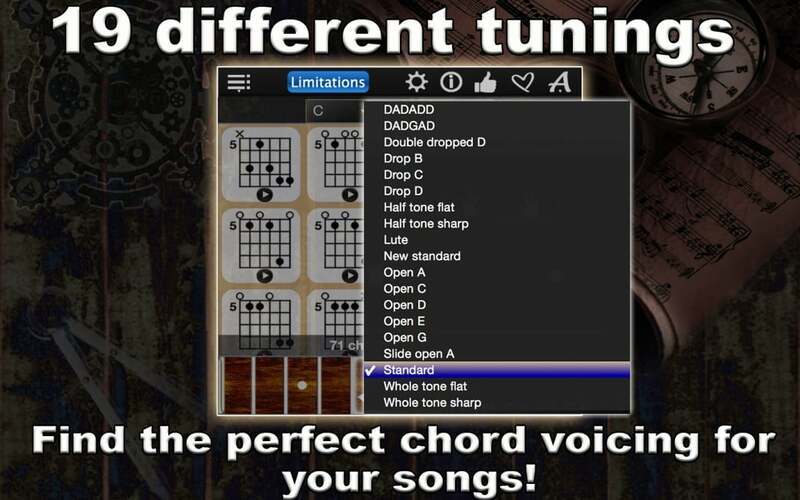 Looking for the perfect chords on your guitar? 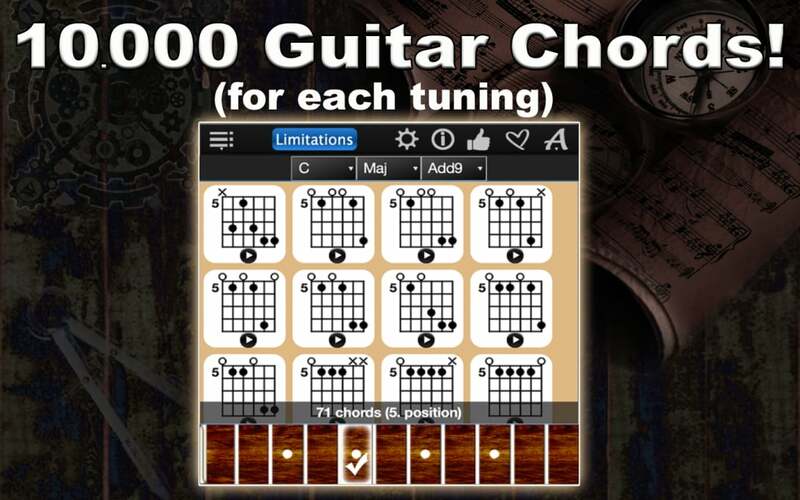 Explore hundreds of chords with Guitar Chords Compass Lite! 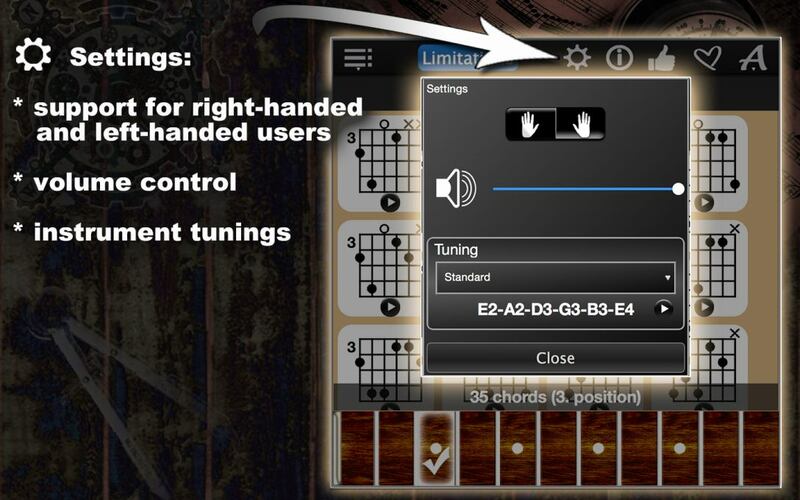 This app can show you all the chord options for about 33% of all possible chords on its virtual guitar fretboard and also as guitar music notes. Play any of them with authentic acoustic guitar sound! Learn the chords at your own pace! You can even create your own virtual sheet music. We developed chord diagrams that can show you all the possible chord options for 4 of the keys ( C, C#, D, D#) on the guitar fretboard. 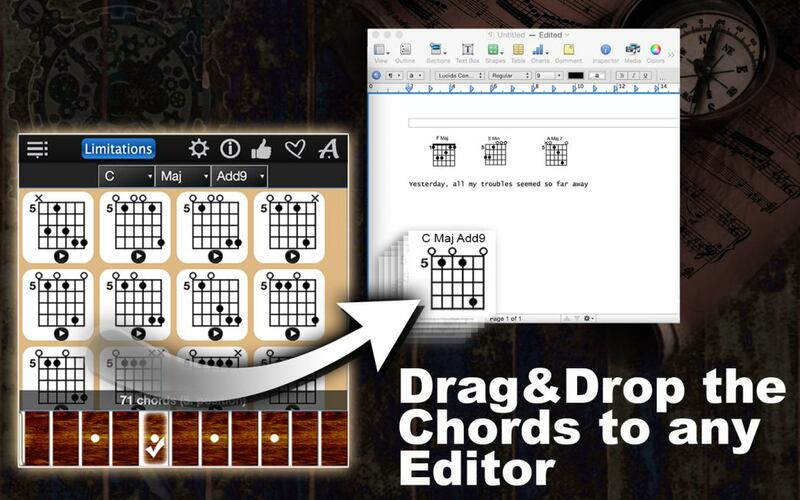 If you need the chords for all the keys, upgrade to the full version, GuitarChordsCompass. When you select a chord ( a key on the left, a chord type in the middle and an addition on the right), the app will tell you how many chords are possible with this combination and will show you all the available chords. Even if you are left-handed, we got you covered with left-handed player support. And if you like GarageBand Smart instruments, you will be pleased to know that GuitarChordsCompass is compatible with them. 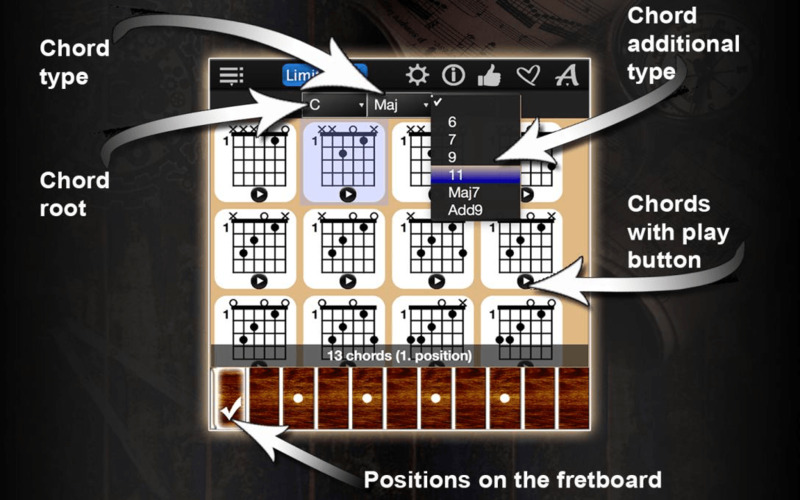 Go ahead, explore the chords with GuitarChordsCompass Lite!